Mitigating threats manually can put a burden on internal IT and security resources. Many solutions also fail to prevent attacks on the system in predictive and repeatable manners. To combat the modern threat landscape, organizations are turning to new-generation, predictive, cybersecurity, and malware prevention solutions that leverage artificial intelligence to prevent malware from executing on endpoints in real time. 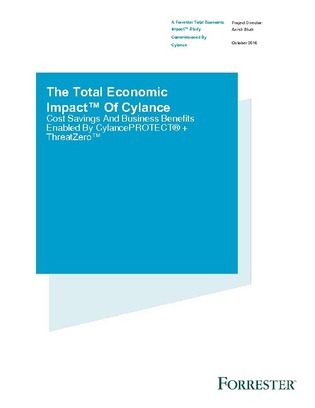 In this Forrester report discover a framework to evaluate the potential financial impact and ROI of advanced endpoint security solutions.